Pork bistek or bistek tagalog is one of the Filipinos favorite dish. It's very easy to cook with few ingredients to use. Although the traditional bistek tagalog (beef steak) uses beef, this one uses pork as an alternative. Here's a simple step by step instruction on how to cook Pork Bistek or Bistek Tagalog that you can try at home. Enjoy! 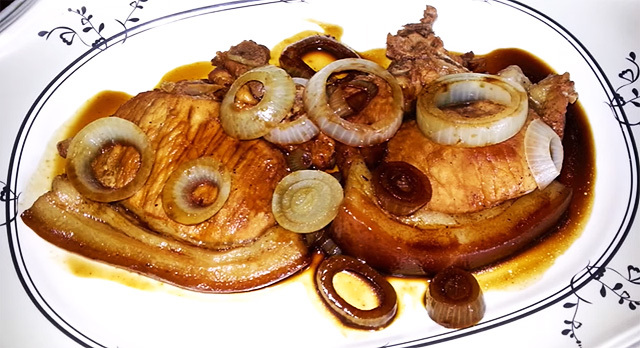 Watch the video below to see how pork bistek is cooked. Enjoy! Pork bistek is best served with plain steamed rice.